Mr. Parkinson is a chartered professional accountant and consultant with over 35 years of experience in the insurance and financial services field. From 1988 until his retirement in 2016, he was a Partner with KPMG LLP. He was the National Leader for the firm's insurance practice from 2004 to 2015. In addition, he held the role of Chair of the Insurance Auditors Advisory Committee for the Superintendent of Financial Institutions Canada until May 2016. 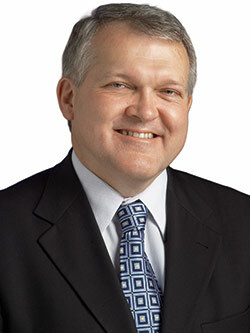 Mr. Parkinson is a member of the Canadian Accounting Standards Board's Insurance Accounting Task Force.